Over the weekend, two men in Denver set the unofficial record for the longest range in a Tesla Model 3 to date by traveling 606.2 miles on a single charge. Sean Mitchell, president of the Denver Tesla Club, and YouTube host Erik Strait set the hypermiling record on a mile-long loop near the Denver Airport which featured an elevation change of only ten feet. The men maintained an average speed of between 20 and 30 miles per hours and didn’t use the vehicle’s air conditioning in order to maximize the car’s energy efficiency. Mitchell noted that the temperature in the cabin rose to a stifling 108 degrees. The trip totaled 32 hours and nearly doubled the 310 mile range rating given to the Model 3 by the EPA. The previous hypermiling record was 560 miles, according to Electrek. After the Tesla’s battery died, the men placed the vehicle on a supercharger overnight. 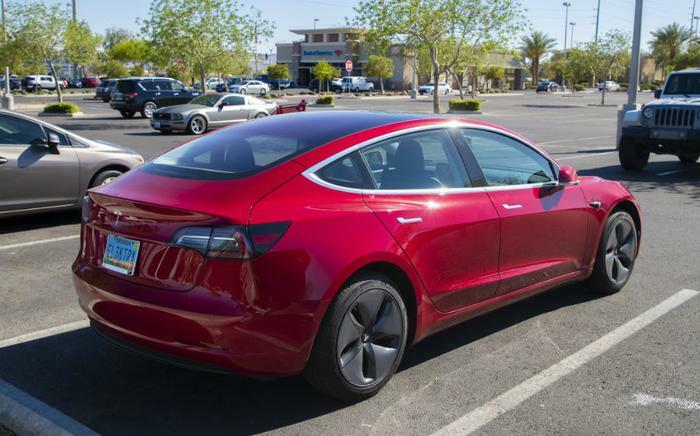 The next day, Mitchell confirmed that the Model 3 would no longer accept a charge and had to be towed to Tesla Service Center. The trip received praise from Tesla CEO Elon Musk, but it’s not yet clear what caused the issue.